Poppy Jasper is seen as a stone of strength, courage and energy. It promotes activity, dynamic energy and inner strength. It is said to find a balance between your emotional and physical side. 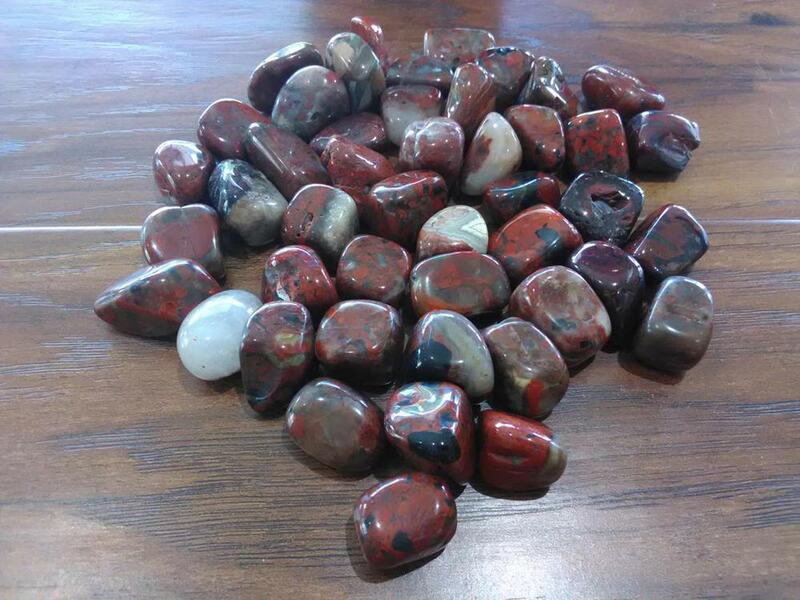 Poppy jasper encourages attunement with animals and can help with allergies.It brings happiness and a positive outlook on life and eases daily stress. It is also a good stone for grounding and is associated with the root chakra. Size Range: 1/2" - 3/4"